This is going to be an interesting week for DVS users. Not only have Novation got something up their sleeve, but a guy called Joe Ward has has come up with a highly interesting take on MIDI controllers for DVS users. C1 meets MIDI controller in the all new Quickswitch deck controllers. It had to happen - reading one too many knee jerk "fake DJ" comments on tha internetz made me snap. 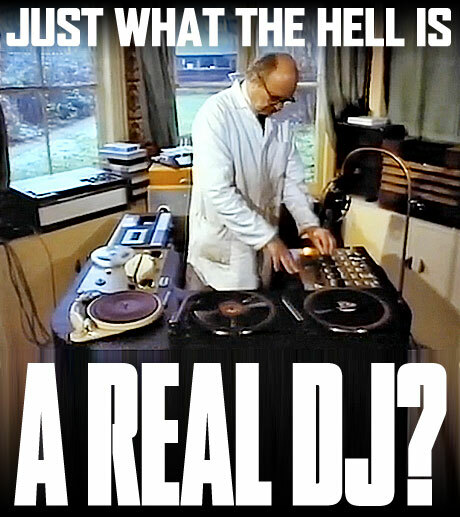 So I pose this oh so simple question for you to ponder and get hot under the collar about - just what the hell is a "real DJ"? For those of you who follow me on Twitter (why aren't you? ), last week I twatted about receiving a hot new piece of nextlevelness from a secret source that paid an all too flying visit to skratchworx towers, and that you'd just have to wait a while for it to be launched. Well Novation don't seem to be able to contain themselves and have posted the vaguest of teasers about said product - with a counter and everything. There's no denying that the once mighty turntable is becoming a thing of yesteryear. I'm sure many would disagree, but when clubs are actually removing them, and finding one at a trade show or retailer is a rarity, you know that it's not looking good for the venerable wheels of steel. Thus demand has been considerably less, and supply even harder to come by for some models. The Vestax PDX has been notable by its absence in the retail chain, resulting in several emails enquiring about its demise. But now the PDX-3000 MKII cat is out of the bag. It seems that in these times of dwindling sales, one company is mad enough to at least pump some cash into a tad of R&D to update their range. Laptop DJing is nothing new. 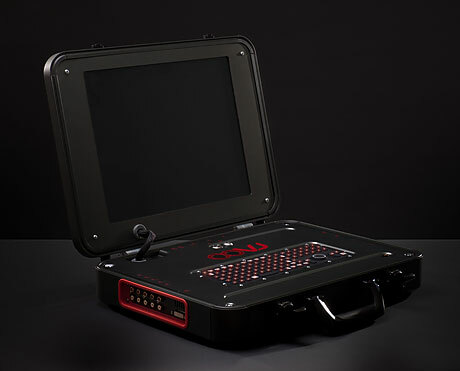 But MIDI controllers have been developed to plug into off the shelf laptops to give users that more DJ-like experience. That however hasn't stopped the original OODJ from evolving in its own sweet controller-free direction into the next generation of uber-laptop in a suitcase for video. Say hello to OOVJ. No matter how hard manufacturers try and flog the dead horse that is CD, media is dead. It doesn't matter how many products come out with CD in the ever lengthening nomenclature, we DJs want a quick and easy way to use our digital audio with our chosen lump of DJ hardware. Some like the ever classic feel of vinyl, while others take the MIDI controller route. Me? I like the best of both worlds and have fallen head over heels for Numark's ITCH based controllers. 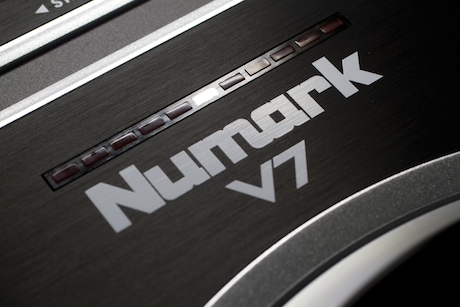 First it was the NS7, and now it's the more conventional V7. And as ever I wrote lots of opinion and made it perdy via the medium of photography. By the end of the week, I may have reverted to uncommunicative fanboy rather than objective industry commentator, as I drool over my new acquisition - a 16Gb iPad. My reasons for getting one are twofold - firstly Mrs Gizmo needs her own lightweight surfing box. But secondly, I strongly believe that the iPad will have a ridiculous impact on the DJ scene that the iPhone cannot have. And if the above video is anything to go by, we're in for some fun times ahead. 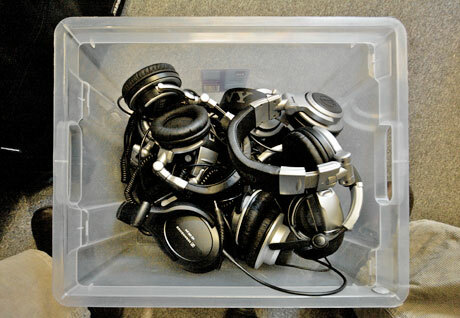 What started off as a quick look at some leading headphones, has turned into an epic journey covering 15 pairs of headphones producing close to 10,000 words, 141 photos and a new recruit to the skratchworx team. Finally, it's here - the long awaited skratchworx 2010 headphone group test can be found after the jump. And I can assure you that I never want to see another pair of cans for as long as I live. T'is the irony of skratchworx - pumping generous scoops of nextleveleness out to the masses, but it really doesn't mean a hoot if you haven't got the skills to drive all this shiny stuff. But when someone with the prerequisite skills gets his hands on such things, you know that something special is going to happen. Native Instruments have procured the immense talent that is DJ Craze and like Rafik before him have unleashed him upon Traktor Scratch Pro and the Kontrol X1 unit. Sweet Jesus. For those of you that have followed my journey from full time employment to full time stressed out money free self employment, you'll remember that part of my repertoire was web design. I've done some work that I've been very proud of - especially the Innofader site. But I closed that business last year and have stopped doing it altogether now. But the Innofader site needs some updating, so I'm looking for a capable webby type person to take it over to permanently.